Cryptoanarchist and voluntaryist focused on technology and society hacking. Owner of IT security company Nethemba s.r.o., cofounder of Progressbar in Bratislava and Parallel Polis hackerspace in Prague. He gained his BSc. at the FEI-STU in Bratislava and MSc in Computer Science at the Czech Technical University with master thesis focused on ultra-secure systems. 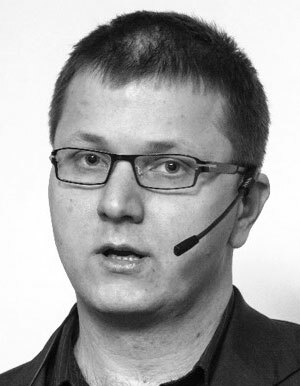 He holds many prestigious security certifications including CISSP and CEH, he is Slovak OWASP chapter leader, co-founder of Progressbar and SOIT organizations where he is responsible for IT security. Pavol uses to have regular presentations at various worldwide security conferences (in Netherlands, Luxembourg, Berlin, Warsaw, Krakow, Prague). He has 14 years experience in IT security, penetration testing and security auditing including social engineering and digital forensic analysis.